A headboard is what that gives a decorative value to whole bed frame! A headboard serves a bed frame in multiple ways and a hence is considered a piece of top priority while planning the bedroom decors! 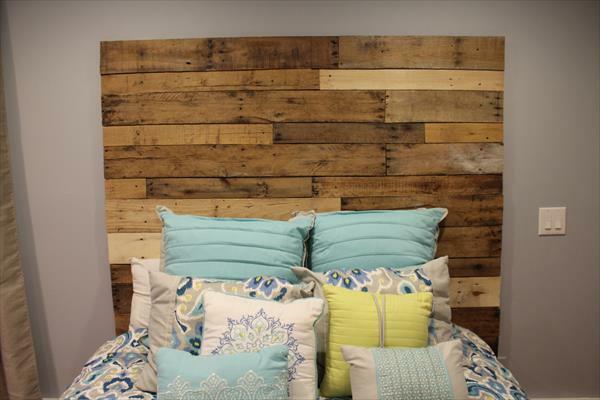 Pallet slats are just amazing to install beautiful headboard frames and we have selected this DIY pallet headboard to share with you today! 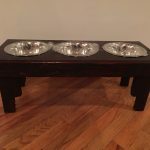 This piece of headboard is having a rustic identity and is pure wooden and hence held much precious to eyes! This makes a fab decorative statement to layout of bed and you even install various embellishments to it! Whole headboard can be taken as a large wooden board on which you can also write some custom quotes, can tag some signs and symbols and can also inscribe some lovely name letters just for a glorious look! 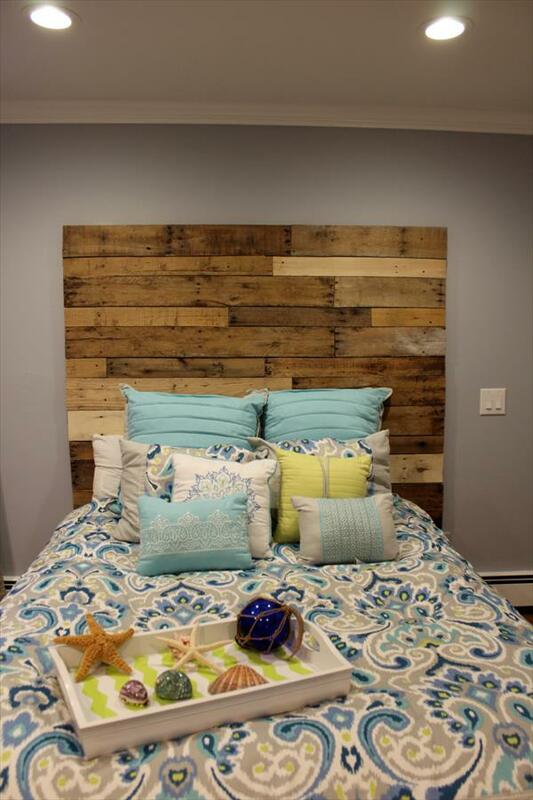 Paint this piece of pallet headboard for a beautiful display and also to compliment the overall theme of the bedroom!